You see, when people have intrusive, anxiety-producing thoughts, attempting to suppress them is a very common reaction. This can be involuntary for those with Obsessive Compulsive Disorder (OCD), Health Anxiety (Hypochondria), Panic Disorder, Generalized Anxiety Disorder (GAD), and Specific Phobias. We often do not know that we are even doing it. Intuitively, our brains will run away from or fight almost anything that creates discomfort or distress for us. As humans, we are biologically set up for fight, flight, or freeze. This podcast episode is all about why thought suppression never works, how it teaches us to intuitively judge our thoughts as bad, and how it can actually increase our anxiety over time. I know that this might sound counter-intuitive to you. You are not alone with this thought process! 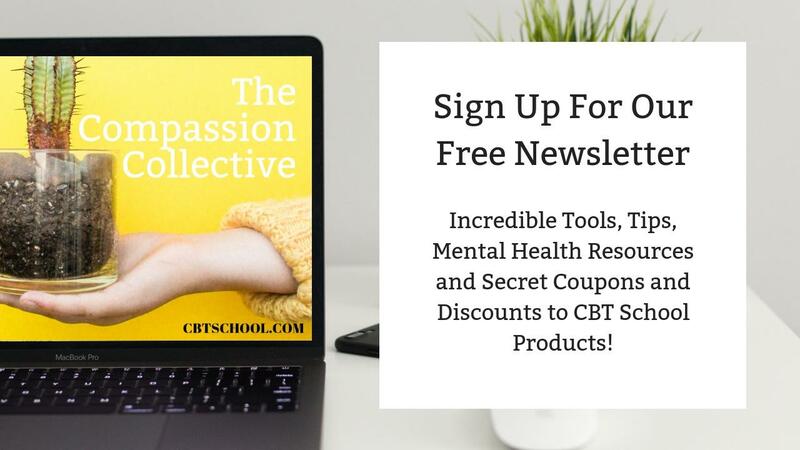 My clients and the members of the CBT School Campus are commonly asking some pretty great questions about this, so I thought this topic would be of benefit to you. Another topic of discussion in this week’s episode of Your Anxiety Toolkit Podcast is mindfulness and how it can help us to accept the presence of thoughts and allow them, non-judgmentally. We address how the practice of mindfulness can change the dynamic between you and your thoughts to a more peaceful, co-existing relationship. 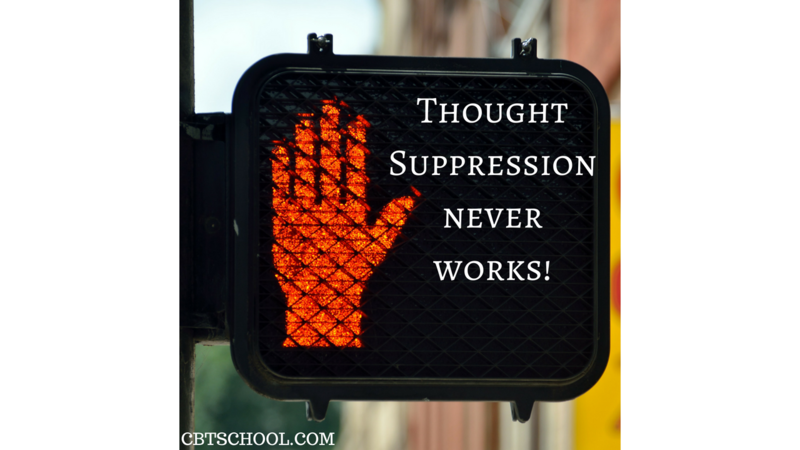 What I really want you to remember is that allowing thoughts is the key! Allow them to come and go. Make space for them. Accept their presence and see what happens. One more thing before we go! ERP School (our online course for Exposure & Response Prevention for Obsessive Compulsive Disorder and other Anxiety Disorders) is COMING SOON, so stay tuned. Sign up HERE to be on the waitlist and be alerted as soon as it is available.